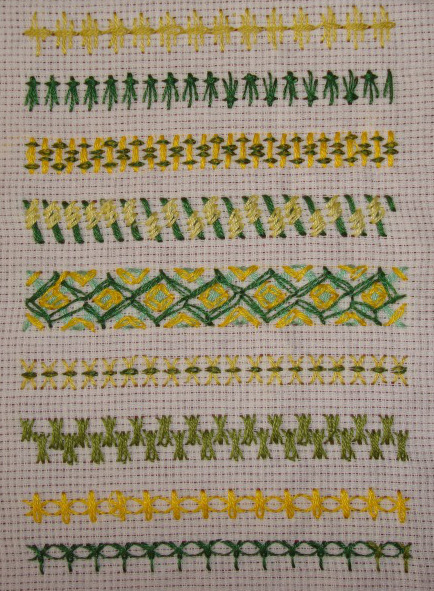 After working these two rows, this sampler was completed. 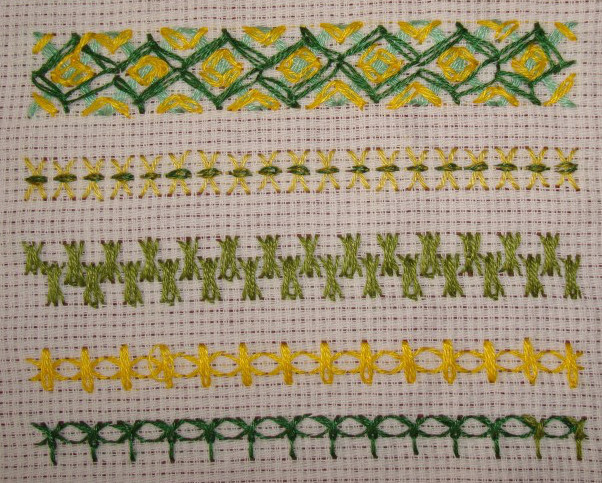 Pekinese stitch was worked with chained cross stitch in the first sample. 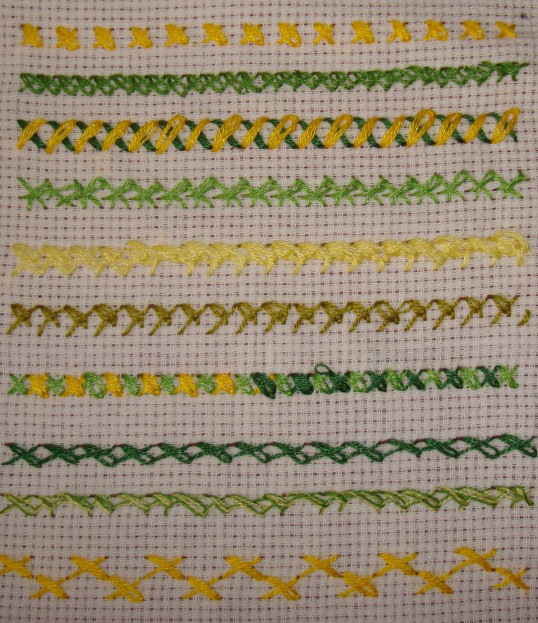 A continuous chained cross stitch row was worked [looks like chained herringbone though!] 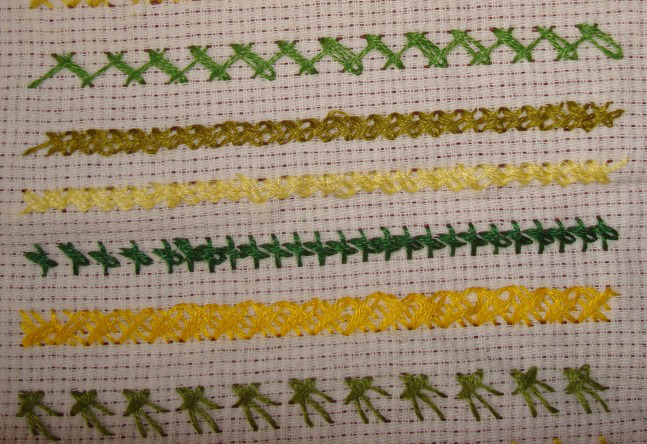 and detached chain stitches were added to it in the last sample. 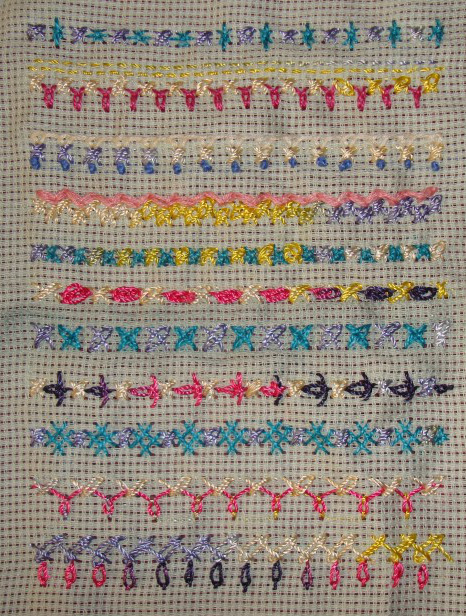 The completed chained cross stitch sampler combined with other TAST stitches. 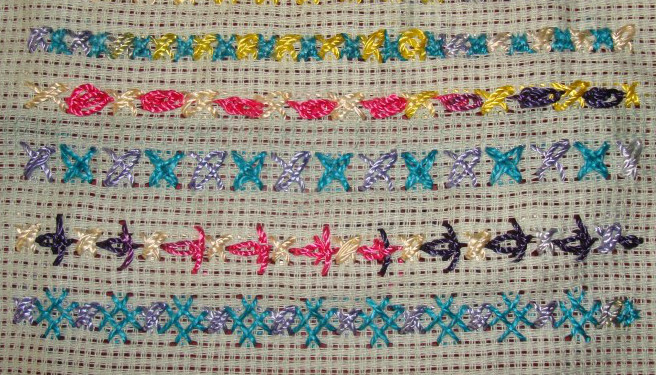 Isolated stitches were combined with chained cross stitches in this part of the sampler. 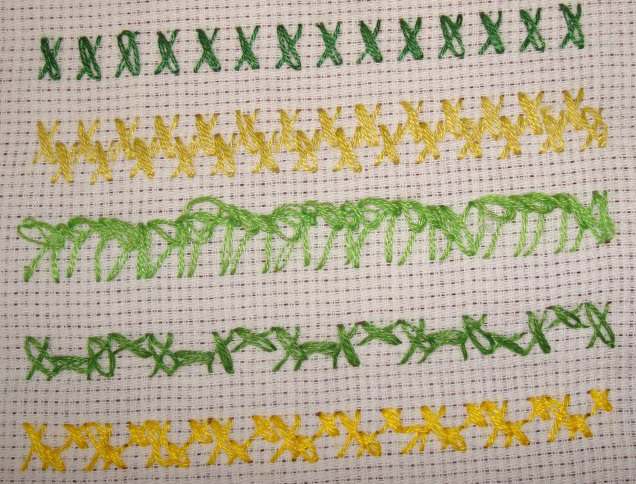 3.Raised cross stitches were combined with chained crosses in the first sample. 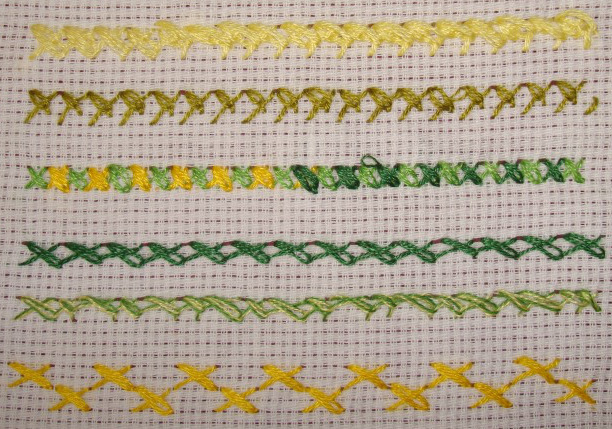 Oyster stitches are combined with this stitch in the second sample. 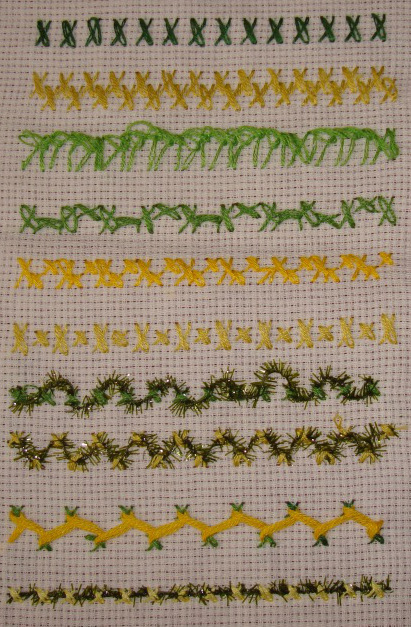 The method of working this week’s chained cross stitch is on SharonB’s blog. 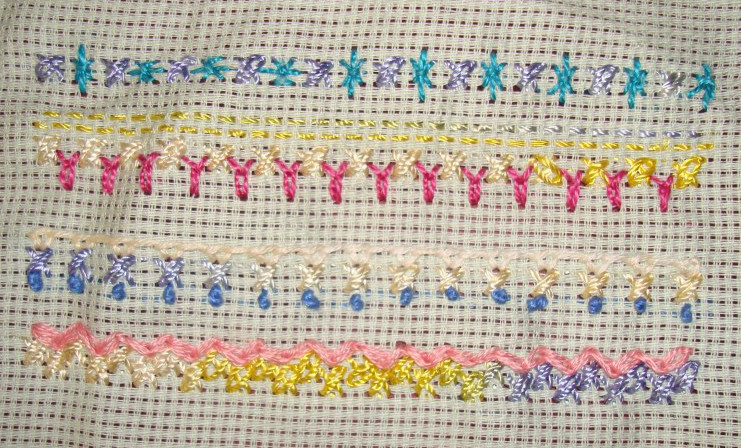 Though I had already posted the earlier worked sampler, the chained crosses are combined with other TAST stitches in this new sampler. 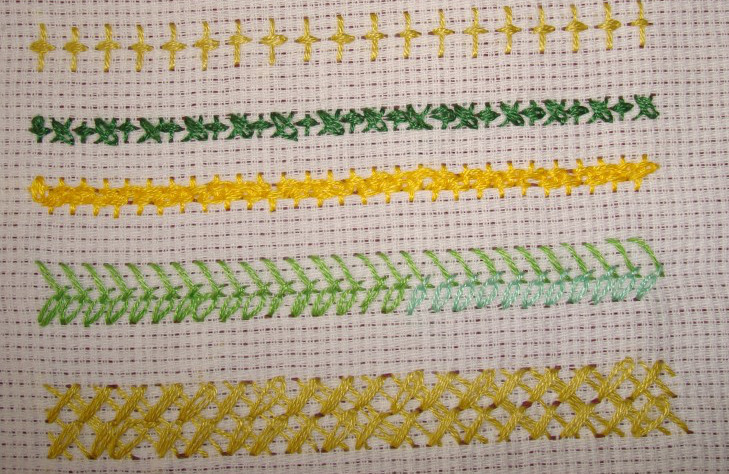 1.The first sample is a combination of chained cross stitches with sheaf stitch. 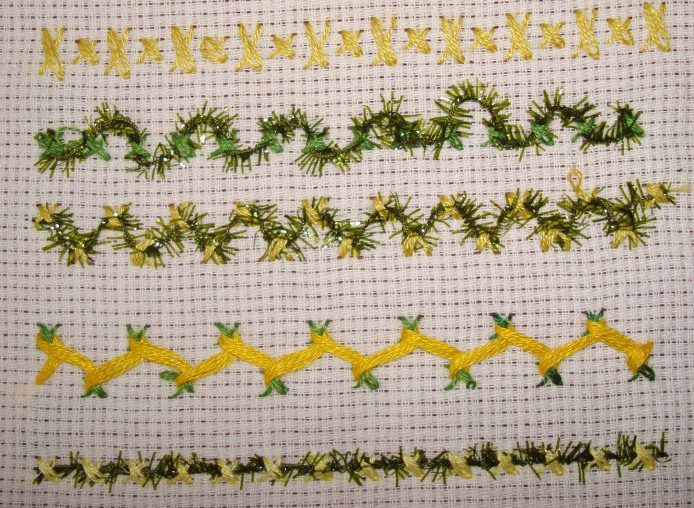 Running stitch rows on top with wheat ear stitches in between is the second sample. 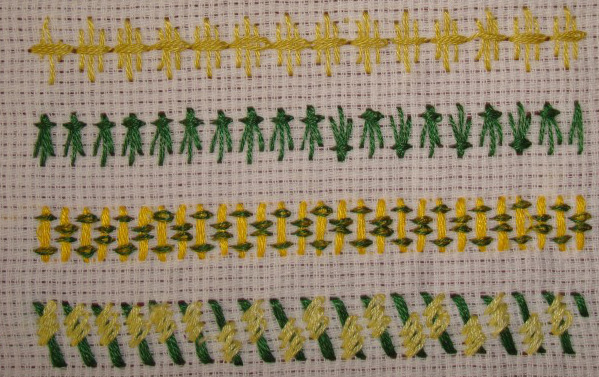 2.The first sample has-Closed buttonhole and french knots with chained cross . 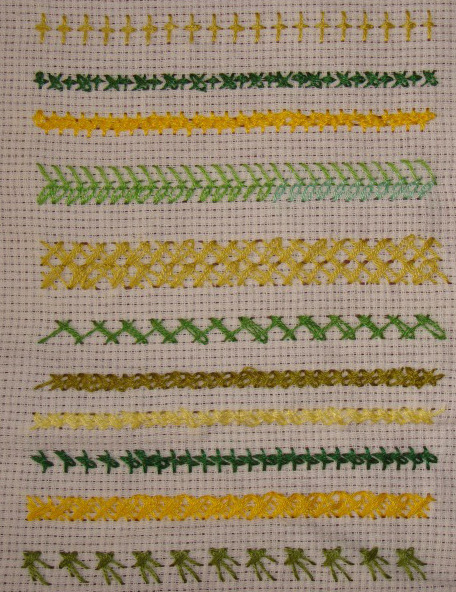 zigzag chain worked over chained cross stitch variation is the second sample.